Once in a while we all insert batteries the wrong way in devices and it’s a real problem for visually impaired people or those with learning disabilities. Same goes for little children who always struggle with batteries for quite a while before learning the right technical way to insert them in toys and other electronics. Not any more. 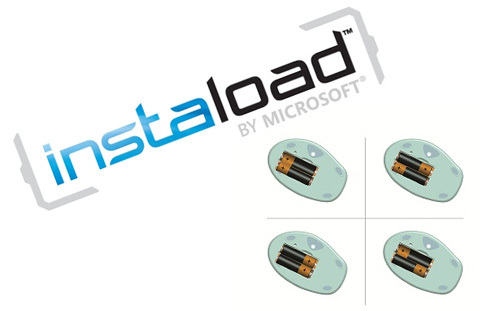 Microsoft’s new invention InstaLoad lets you insert batteries in devices without worrying about the positive or negative side. The new technology is in the mechanical battery contact design. Each side of the metal contacts in a device have positive and negative points rather than just a negative or positive point. The technology works with almost all batteries including AA, AAA, C, D and even the non rechargeable ones. So insert the batteries in any direction and your device will work. Microsoft is offering a royalty-free license program for devices designed for those with hearing, vision, learning or other disabilities. The technology is sure to attract device manufacturers who can make its adoption possible on a wide scale.